Changes to Universal Credit introduced by the Chancellor in his latest budget have given landlords more confidence to rent to claimants, but they think Government should do more to meet their concerns. 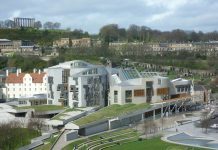 The Residential Landlords’ Association has carried out Research through its research lab, PEARL, and found that 36 per cent of private landlords have gained in confidence to rent to tenants on benefits resulting from the changes announced in the Budget, but more is needed say the RLA. Almost three-quarters of landlords (73%) are still wary of letting to subsidised tenants, the main reason being that they cannot recover money when the tenants get into arrears, and when they fail to pass on money they receive for rent to their landlord. The RLA is calling for action to ensure landlords can reclaim rent arrears built by Universal Credit claimants who move out of their property as present there is no mechanism to do this. 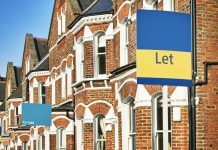 The RLA is specifically looking for a means of landlords claiming back arrears and also for private landlords to be treated the same as social landlords by allowing them access to basic information routinely available to those in the social rented sector, such as whether a tenant is receiving Universal Credit. Landlords need this information to properly assess risk and enable them to work with tenants and set-up suitable rent payment schedules. Previous articleDoes a Periodic Tenancy mean a new tenancy every month?